Welcome to Kos (also spelled Cos), one of the Dodecanese islands! This little paradise located off the Turkish coast is known for its sandy beaches, rich Greek and Roman monuments, and for being the birthplace of Hippocrates, credited to be the father of medicine. Want to know what this island has to offer? Here are the top things to see and do. This sanctuary dedicated to Asklepius, god of medicine and healing, includes a temple, a hospital and a medicine school where people used to come to find treatment for their ailments. While there were many other asklepeions around the world, the one in Kos was the largest of all. Dating from 400 BC, the site is split into three levels, with the medical school occupying the first floor. The second level was home to the temples and thermal baths, where patients could bathe as part of their treatment. The third level was where the main temple was standing. It is thought that only the people of higher standing could access that part, but today, visitors can enjoy panoramic views over Kos Town, the harbor and the eastern part of the island. Located in Kos Town, the Casa Romana (or Roman Manor) is a restored 3rd-century Roman villa located near the Roman Odeon. Built on the ruins of an ancient Hellenistic mansion, the villa features 36 rooms and three atriums, but probably the highlight of the house is the lavish mosaics and stunning décor that have been restored. While you’re there, make sure to admire the ruins of the Temple to Dionysus across the villa. 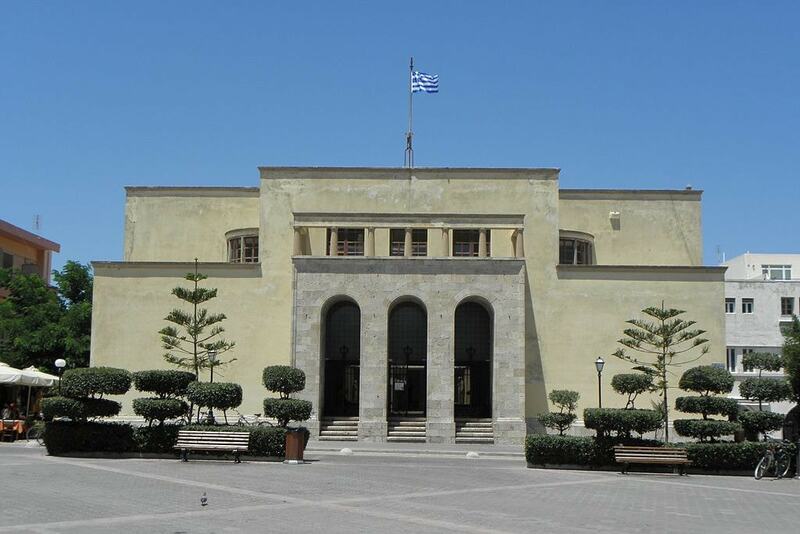 To explore the history of the island of Kos, head straight to the Archaeological Museum of Kos. Founded in 1936 while the island was under Italian rule, the museum includes collections of artefacts found during excavations across the island. Housed in a stunning building on Eleftherias Square, the museum’s collection includes statues, mosaics, plus pottery and other findings. This little gem of a town is a refreshing surprise for visitors. Once the home to Greeks, Romans, Crusaders, Ottomans and Italians, Kos is filled with history. 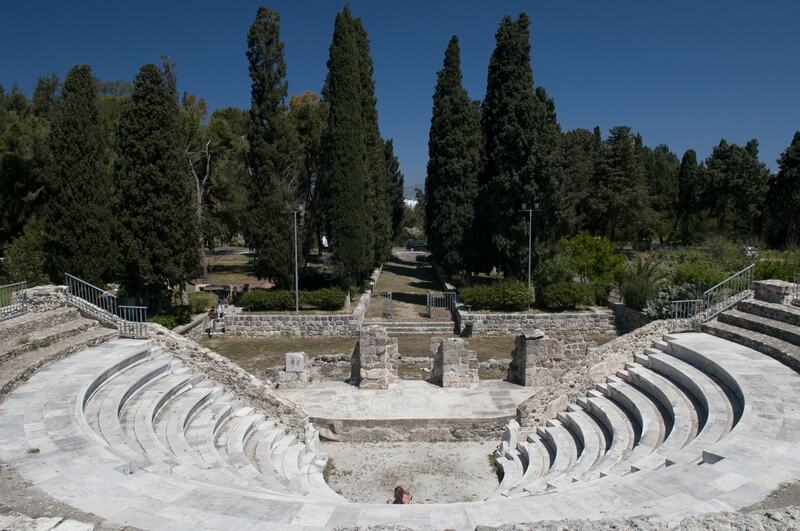 Take a day off from the beach and stroll around the island’s capital, pass through the ancient agora, medieval fortifications, near the Hippocrates tree and soak up all the history. Take a coffee on Eleftherias Square and admire the Defterdar Mosque, an obvious vestige of the Ottoman occupation. 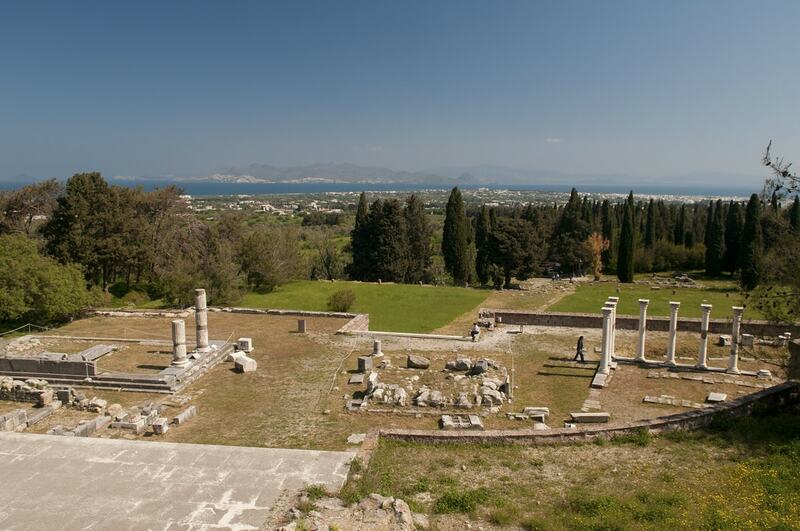 You will quickly understand that Kos is the cheapest open-air archaeological museum there is. Built by the Romans between the 2nd and the 3rd centuries, the Roman Odeon was left undisturbed until the 20th-century, when it was discovered along with the Roman baths and a gymnasium in the historic center of Kos Town. An emblematic part of public life during the Roman empire, the odeon was originally roofed and could seat 750 people. Today the auditorium hosts cultural events and performances. A true haven for nature lovers, Plaka Forest is a forested area near the hamlet of Antimachia, on the way to Kefalos, the former capital of the island. A great spot to relax and even have a picnic, Plaka Forest is known for its unique wildlife, including terrapins, squirrels, turtles and even majestic peacocks. Perfect for the whole family, it’s a must-visit place. While Hippocrates is definitely one of the reasons why Kos is an interesting destination, it is certainly its beaches that makes it a favorite among visitors. With 112 kilometers of coastline, there are many options to choose from. Many travelers revel in the beauty of Kardamena, Agios Fokas or Psalidi beaches, though those located between Tigaki and Mastichari are equally popular. For a unique experience, Thermae, with its thermal waters, is a top choice while the beaches of Agios Stefanos, Kamila, Markos and Paradise, slightly quieter, are great options too. But for unique beauty, Agios Theologos, on the westernmost part, ranks high, especially if you are a wind or kitesurfing aficionado. For those who loves low-key spots, Cavo Paradiso, on the southern tip, is heaven-sent. If spending the day lying on a beach or exploring historical landmarks is not your thing, you are in luck. Kos is the perfect spot for you to get some adrenaline. With a booming industry of water and land-based sport activities, such as water skiing, parascending, windsurfing or scuba diving, Kos is home to several sport centers where you will find trained instructors and the latest equipment. For horse riding fans, Kos is home to a range of terrains perfect for your favorite hobby and many companies offer private or group rides. If you are visiting the island during the off-season, then you will be happy to know that there is some serious birdwatching fun to have. 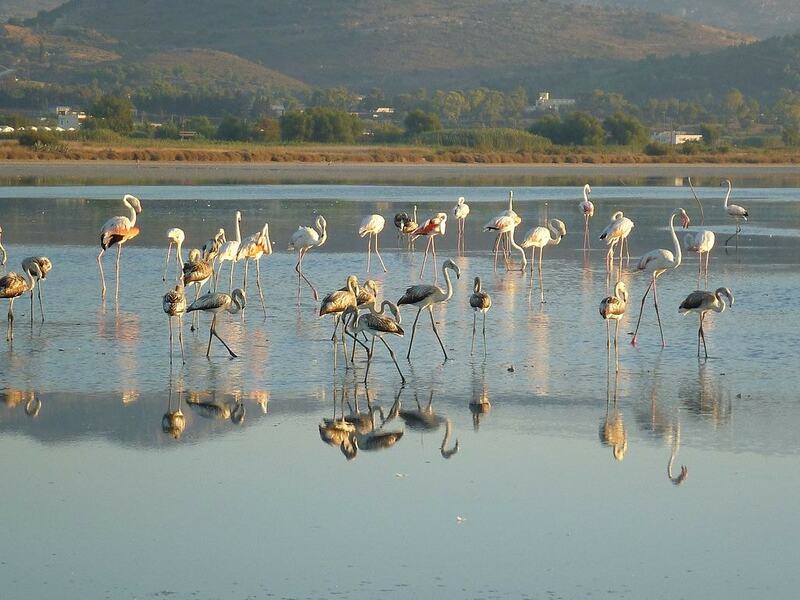 The salt lake of Aliki, between Tigaki and Marmari, on the northern coast of the island, is home to vibrant populations of bird species and wildlife, and during the winter, you may be able to spot flocks of flamingoes, which show up on the island around October until March. During the Italian occupation, the wetland served as a salt marsh for the production of salt. Greece may not be the first destination that comes to mind when thinking about biking holidays, but Kos proves sceptics wrong. Kos Town is definitely easily explored by bike, but you can also discover the rest of the island on two wheels. In fact, the flat island is crisscrossed with bike trails, allowing you to scout the whole place. You will find bicycle parking spaces across the islands and on the beaches, which makes it your best ally to get acquainted with your surroundings. Don’t know where to start? Several companies organize guided bike trips at affordable prices.